A class of its own, extremely yielding and economic. Top-quality coating for all internal walls and ceilings. 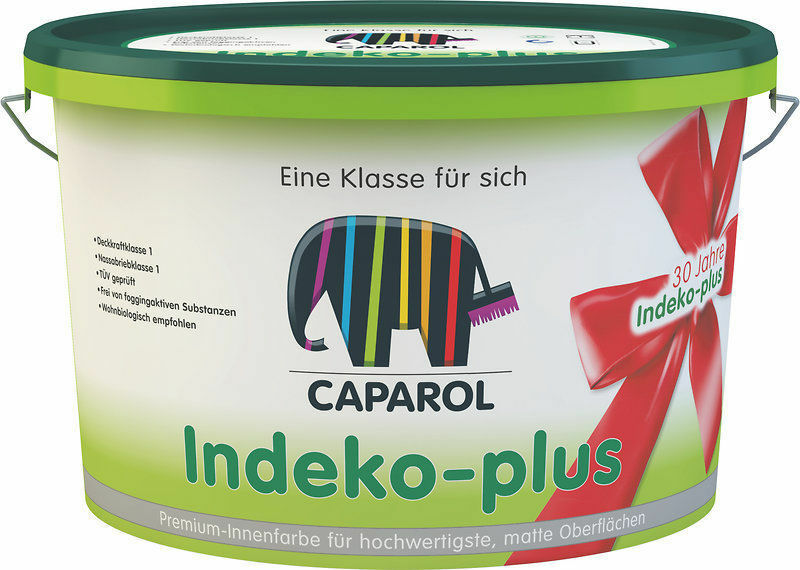 Indeko-plus has double covering power, hence in most cases one evenly applied coat is sufficient. The product dries very fast without emitting any offensive odour and is therefore particularly suitable when time is pressing and occupants or users are not to be incommoded by the smell of fresh paint, e.g. painting or redecoration in hospitals, nursing homes, warehouses, hotels, restaurants, offices, schools, playschools, surgeries, public buildings and private living quarters.